Just back from Italy, so for food still thinking like that. This dish is very simple, using Irish dairy produce to enrich an Italian style flavour. Using milk to cook fish is not something I found in Italy, but in more Northern countries it's quite common. The poaching in milk process enriches the fish, and gives it a more creamy texture. Filleted and pin boned pollack - enough for each person. Another sustainable white fish like whiting is also good. 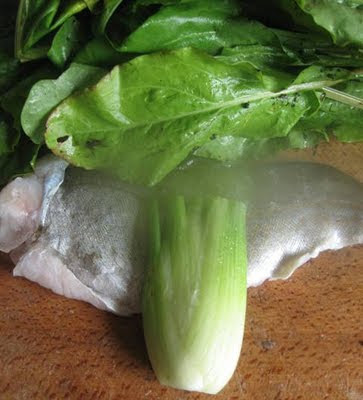 When the fish is done, the liquid can be strained off to make the base of a parsley sauce.